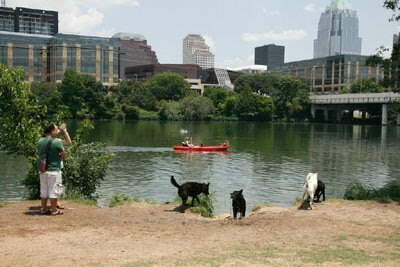 austindogandcat.com: Want more dog parks in Austin? Speak! Speak! Two new off-leash dog parks are in the works for Austin, and we need your help in getting the word out to the community to support these new locations. Please forward this information on to your network ofsupporters. Austin's Parks and Recreation Department (PARD) have two "new" locations selected for off-leash consideration--Yett Creek (walking trail--North Austin) and Mabel Davis (fenced--South East Austin). These two locations represent a stepped up effort by PARD to expand on the number of off-leashed parks. As park advocates for off-leash environments, it's important we get the word out and have a strong show of support for these new locations. Thanks for your support in this effort.